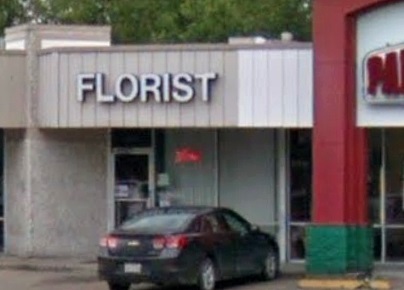 At Blooms The Flower Shop, we customize designs with you in mind! When it’s time to plan a wedding, party or event... Our beautiful selection of high-quality flowers and eye-catching design styles are sure to bring rave reviews on your wedding day or at any festive occasion - large or small. Call our shop in advance at 713-784-6796 or 1-800-784-6924 to schedule your consultation. When it's time to shop for gifts for all seasons & all reasons... Call or stop by our shop in Houston. Choose from our nice selection of Green Plants, Blooming Plants, Dish Gardens, Orchid Plants, Fruit Baskets, Gourmet Baskets, Gift Baskets, Baby Gifts, Candy, Greeting Cards, Home Decor, Scented Candles, Silk Flowers, Plush Stuffed Animals and more! When it's time to send funeral flowers from the heart... You can always depend on us to help you with ordering flowers after a friend or loved one passes. We will design and deliver sympathy flowers that thoughtfully convey your heartfelt condolences. Call or visit us today… we look forward to meeting you! 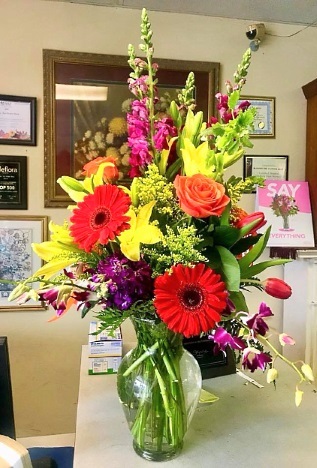 Thank you for visiting our website for flowers delivered fresh from your local Houston, TX florist of choice, Blooms The Flower Shop.